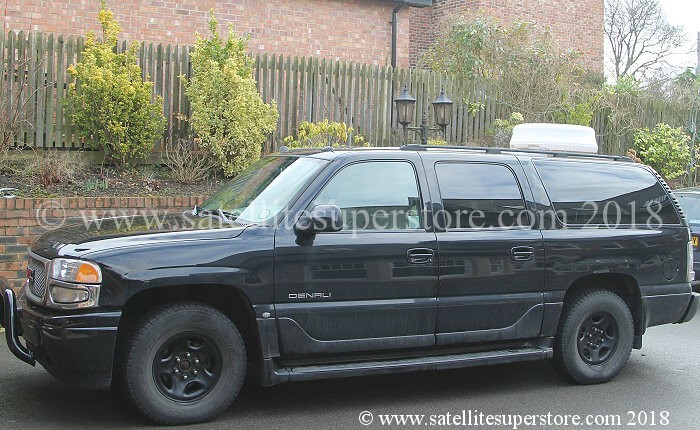 Satellite Systems from Satellite Superstore UK. Sky, freesat and motorised multisatellite systems. 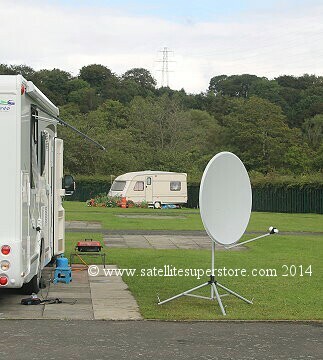 Satellite Systems from the Satellite Superstore UK. 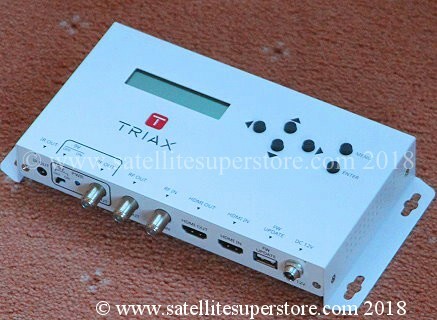 Sky satellite systems, Humax Freesat satellite systems. 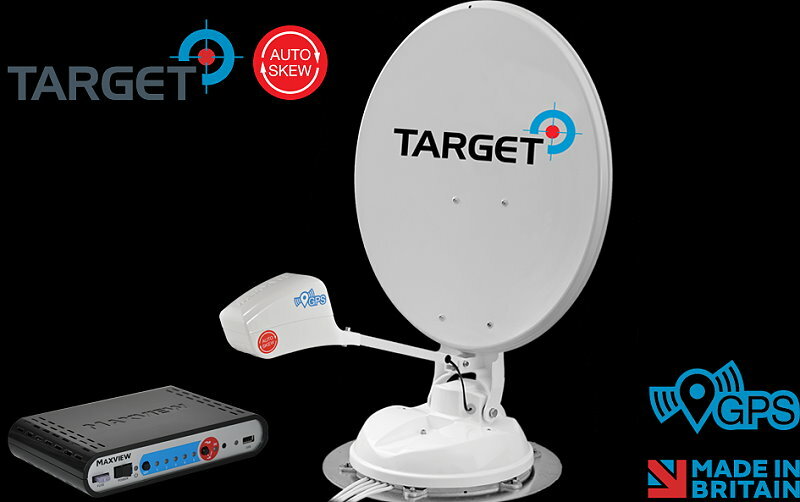 Fixed dish and motorised systems from Technomate, Vu+ Technisat, Sab, Edision. 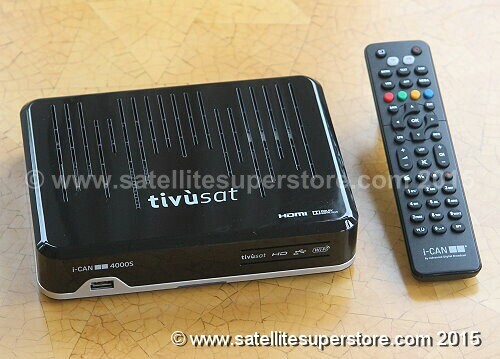 High definition HD satellite systems. Blind search receivers. Twin tuner PVR satellite systems. 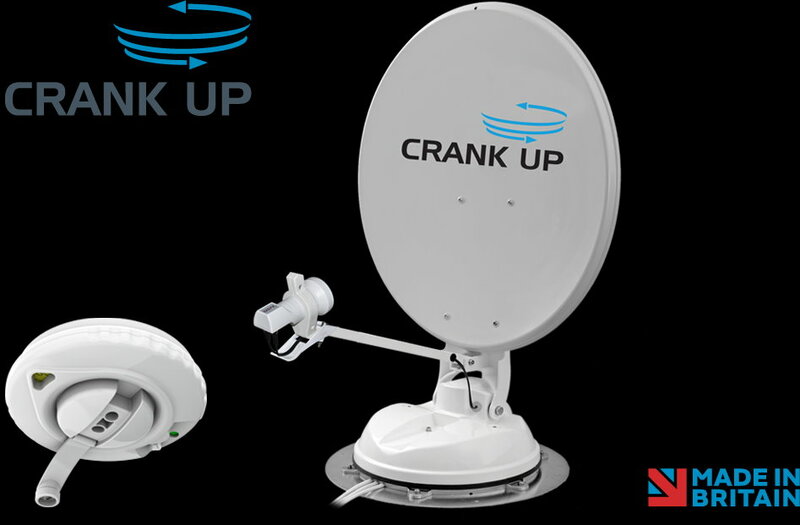 2, 3 & 4 LNB satellite systems. Adult channel satellite systems. Transparent satellite dish systems. Multi satellite systems. 1, 2, 3 and 4 satellite fixed dishes and motorised dishes. 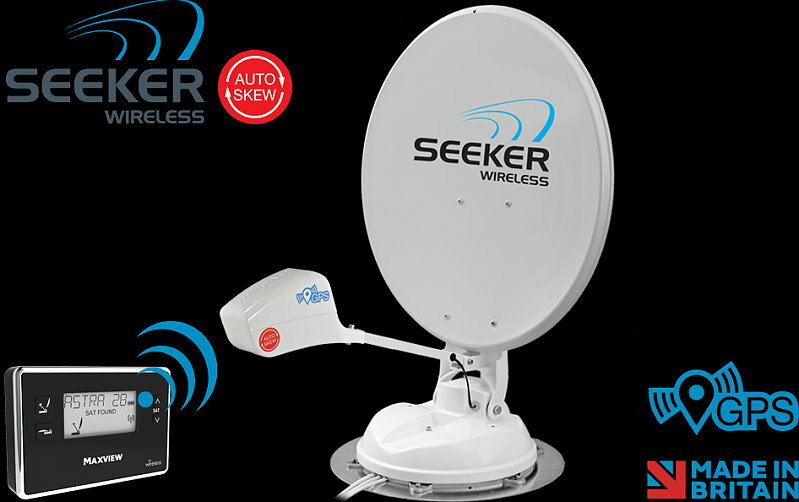 Receive several satellites from 1 fixed dish. 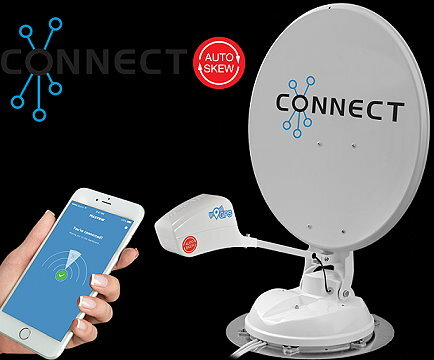 Quality motorised satellite systems. 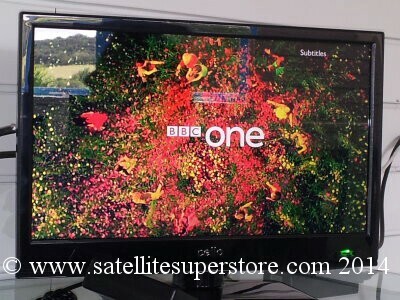 Freesat satellite systems. 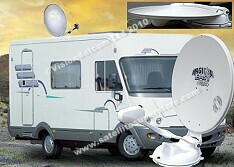 Large dish satellite systems. Page 2. - Sky Systems. 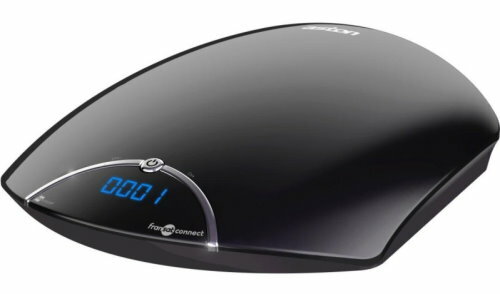 Humax Generation 3 HDR1000S twin tuner500Gb & 1Tb "Freesat" receiver. Page 4. - 2 satellite systems. 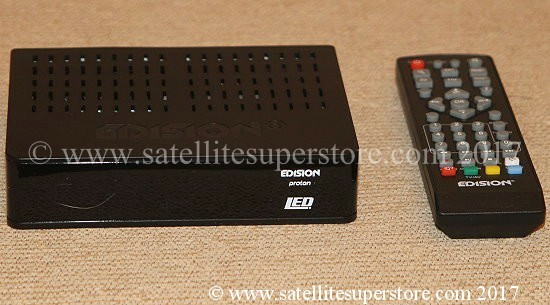 Edision Proton LED HD Receiver - Only �54.95! Page 8. Technisat CI+ systems. 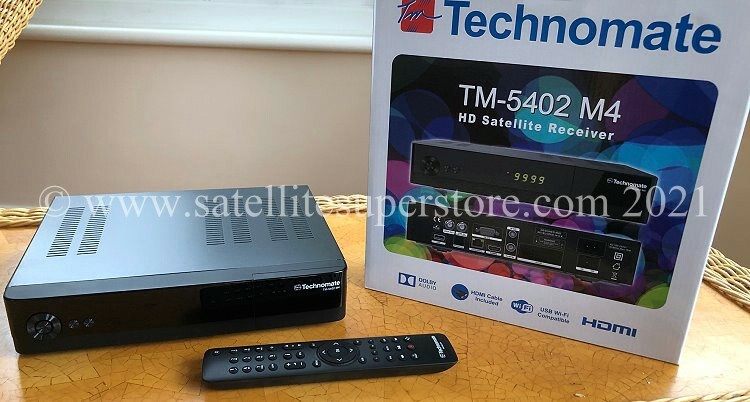 Technisat Digit Isio STC 4K multi tuner PVR CI+ receiver. Edision Proton LED. Low cost free to air. �54.95! Page 13 - Systems for French TV from 19E. Page 14 - Systems for French TV from 5W. Page 16 - Dish kits with tripod stand & cable. 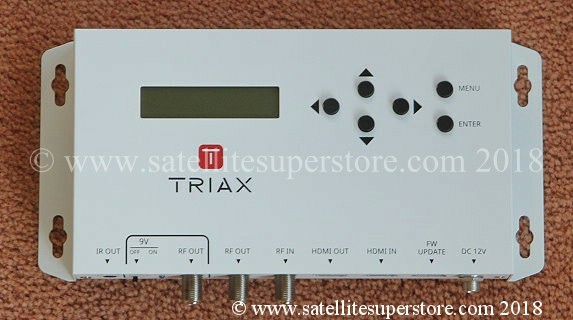 12V/240v TV Built in satellite. 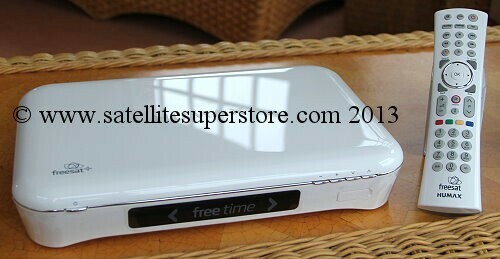 Cello 12V traveller TV with satellite, terrestrial and DVD built in. USB hard drive recording option. 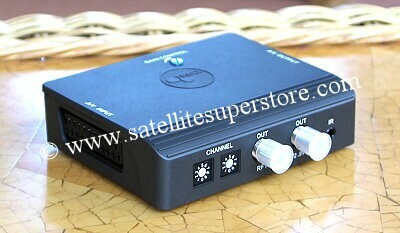 Lion G25L100 Micro 12 volt HD receiver USB. Primesat 60cm easy adjust, light weight dish kit. 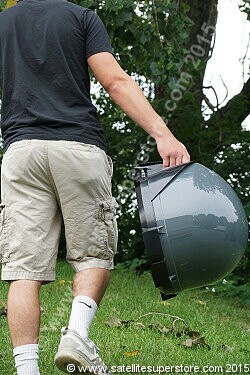 Primesat 85cm easy adjust, light weight dish kit. 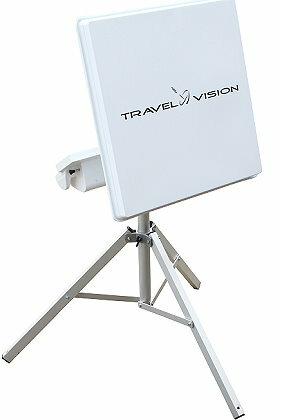 Travelvision R7 automatic satellite flat plate antenna on a tripod. Maxview Remora. MXL026 Suction pads hold it on the caravan. 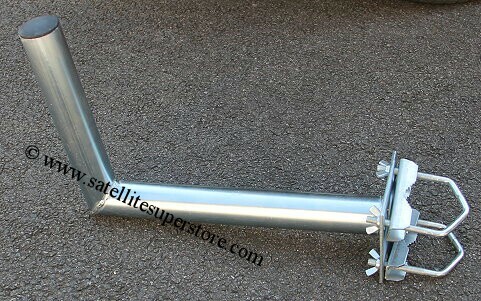 This accessory gives you the option of fitting the dish on the jockey wheel instead of the tripod. VuQube II. Twin LNB Maxview fully automatic dome, twin LNB. Maxview cable entry cover MXL018. 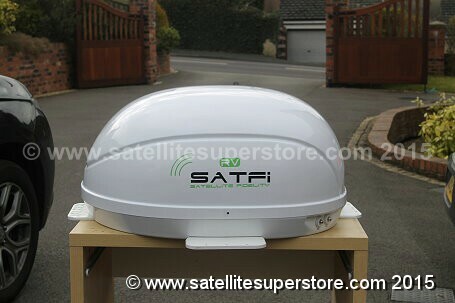 SATFI EU automatic larger dome for the UK and Europe. 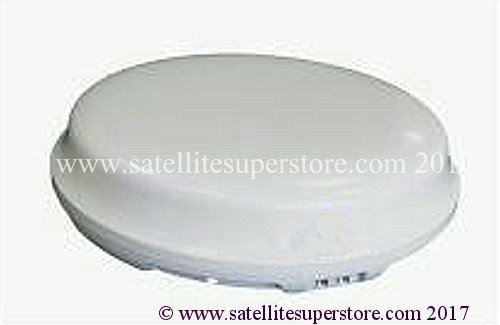 Traxsat 3220 low profile tracking dome. 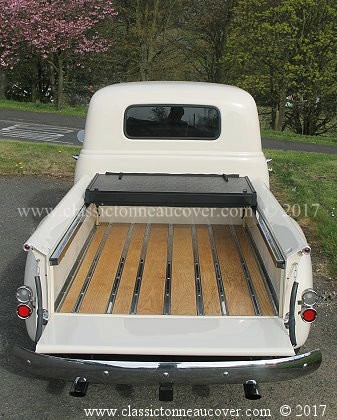 Ideal for motorhomes, caravans and narrowboats. Watch satellite TV on the move. 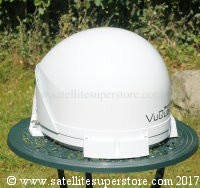 Satfi GO tracking dome. Watch satellite TV on the move. 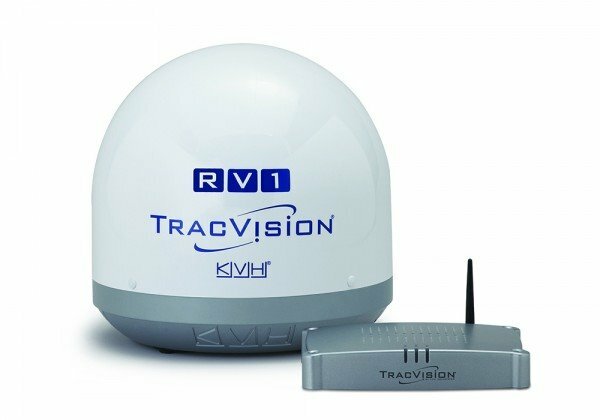 TracVision RV1 tracking dome. Watch satellite TV on the move. Maxview Crank-Up Mark 3 B2590. 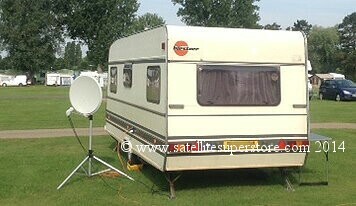 Satellite Systems for Caravans and Motorhomes. be added. Click here to order. need some research and IT skills. ones which coincidentally have the same frequencies as Sky channels). Diseqc and will tune to anything). 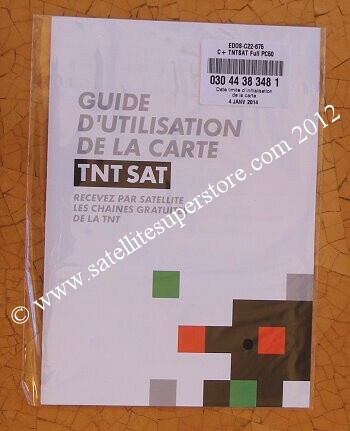 Freesat receivers and Sky receivers are therefore not suitable for other satellites. 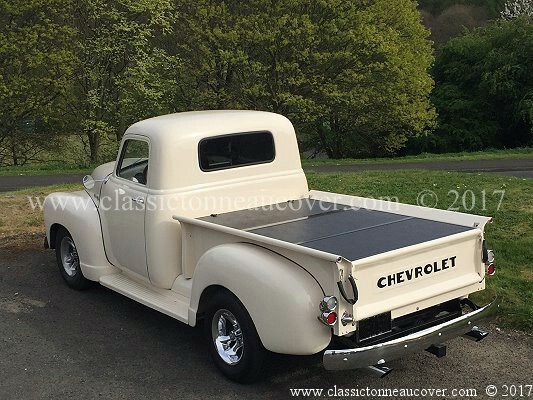 (this requires and internet connection with a UK IP address). It is also called catch up TV. Then there are single tuner receivers and twin tuner PVRs. from any computer in the world through a web interface. channel you are on can be recorded now or later). (The Icecrypt s6000 is Linux but unusually is as easy to use as a standard receiver).